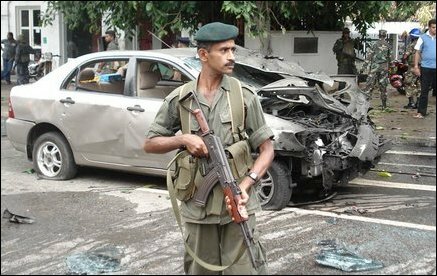 The attack took place at Pithala Junction in Dharmapala Mawatha in Kolpitty around 10:30 a.m. The suicide killer had come in a three wheeler, military sources said. 7 vehicles were damaged in the explosion. Lt. Col Gotabaya Rajapaksa is a retired army officer who had served under the incumbent Sri Lanka Army Lt. Gen. Sarath Fonseka when Fonseka served as a Colonel. 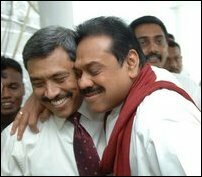 Upon retirement, he expatriated to USA and appointed Defence Secretary by Mahinda Rajapakse when Mr. Mahinda was elected Sri Lankan President last November. Sri Lanka Army Commander Lt. Gen. Sarath Fonseka survived a suicide attack on April 25. 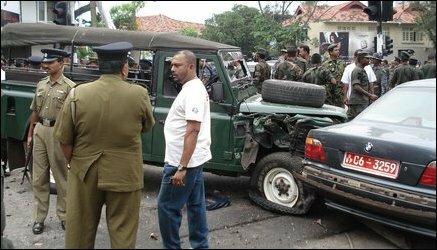 01.12.06 US condemns suicide attack on Sri Lankan defence s..